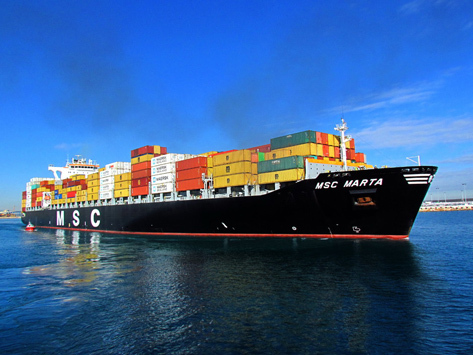 Mediterranean shipping (MSC) announced at the endof April MSC opened a service line from Asia to Africa, the new line will spend10 freighters with 4000 teu containers, port calling order is: Nansha, Chiwan,Singapore, Louis, Lagos, SAN pedro, Abidjan, Coega, Colombo and Singapore. The new line would provide new routes through theMediterranean direct-to-direct service to west Africa without transport , the sailingtime from Chiwan and Singapore to Lagos were shortened to 28 days and 23 daysrespectively. It was estimated that the first voyage of new line departured fromnansha on 24th, April.